The economy of Singapore is a highly developed free-market economy. Singapore's economy has been ranked as the most open in the world, 7th least corrupt, most pro-business, with low tax rates (14.2% of Gross Domestic Product, GDP) and has the third highest per-capita GDP in the world in terms of Purchasing Power Parity (PPP). APEC is headquartered in Singapore. Government-linked companies play a substantial role in Singapore's economy. Sovereign wealth fund Temasek Holdings holds majority stakes in several of the nation's largest companies, such as Singapore Airlines, SingTel, ST Engineering and MediaCorp. The Singaporean economy is a major Foreign Direct Investment (FDI) outflow financier in the world. Singapore has also benefited from the inward flow of FDI from global investors and institutions due to its highly attractive investment climate and a stable political environment. Exports, particularly in electronics, chemicals and services including Singapore's position as the regional hub for wealth management provide the main source of revenue for the economy, which allows it to purchase natural resources and raw goods which it lacks. Moreover, water is scarce in Singapore therefore it is defined as a precious resource along with the scarcity of land to be treated with land fill of Pulau Semakau. Singapore has limited arable land, meaning that Singapore has to rely on the agrotechnology park for agricultural production and consumption. Human resources is another vital issue for the health of the Singaporean economy. The economy of Singapore ranks 2nd overall in the Scientific American Biotechnology ranking in 2014, with the featuring of Biopolis. Singapore could thus be said to rely on an extended concept of intermediary trade to entrepôt trade, by purchasing raw goods and refining them for re-export, such as in the wafer fabrication industry and oil refining. Singapore also has a strategic port which makes it more competitive than many of its neighbours in carrying out such entrepot activities. Singapore's trade to GDP ratio is among the highest in the world, averaging around 400% during 2008–11. The Port of Singapore is the second-busiest in the world by cargo tonnage. To preserve its international standing and further its economic prosperity in the 21st century, Singapore has taken measures to promote innovation, encourage entrepreneurship and re-train its workforce. The Ministry of Manpower (Singapore) (MoM) is primarily responsible for setting, adjusting, and enforcing foreign worker immigration rules. There are approximately 243,000 Foreign Domestic Workers (FDWs) in Singapore. Singapore's economy was a major beneficiary of colonialism establishing financial and commercial hubs. 1819: Sir Stamford Rafflles a Lieutenant-Governor of Bencoolen (1818–1824), established a post on the southern tip of the Malay Peninsula. Colonization provided the foundation for capitalism in the region. Colonization led Singapore to be the "second richest place in Asia after Japan". Much of the wealth accumulated early within the region was to be accredited to it hosting one of the major seaport hubs. 1869: On 17 November 1969, the Suez Canal opens, connecting the Mediterranean Sea to the Red Sea. This allowed for an increase speed of travel time, which resulted in a rise in trade volume. The nation saw a $32 million dollar rise just a year after its opening. 1879: Trade volume reaches $105 million. 1950: The region saw social unrest which resulted in colonial powers deciding to relinquish some decision making. With spurs of race riots the colonial powers sought to empower and establish a formidable local government. With most of the unrest resulting from high unemployment, the local government was directed to solve this issue. The economic development board was the official name of the organization designed to create jobs. 1965: Upon independence from Malaysia, Singapore faced a small domestic market, and high levels of unemployment and poverty. 70 percent of Singapore's households lived in badly overcrowded conditions, and a third of its people squatted in slums on the city fringes. Unemployment averaged 14 percent, GDP per capita was US$516, and half of the population was illiterate. 1965-1973: Annual growth of real GDP was 12.7%. 1973-1979: Oil crises raised government awareness of economic issues. It slated the government to create a new forum of economic change. The government highlighted a focus in technology and education to be the new wave of economic gain. It managed to minimize inflation and provide workers with the proper machinery to sustain growth. The Singapore government established the Economic Development Board to spearhead an investment drive, and make Singapore an attractive destination for foreign investment. FDI inflows increased greatly over the following decades, and by 2001 foreign companies accounted for 75% of manufactured output and 85% of manufactured exports. Meanwhile, Singapore's savings and investment rates rose among the highest levels in the world, while household consumption and wage shares of GDP fell among the lowest. As a result of this investment drive, Singapore's capital stock increased 33 times by 1992, and achieved a tenfold increase in the capital-labour ratio. Living standards steadily rose, with more families moving from a lower-income status to middle-income security with increased household incomes. 1987: Lee Kuan-Yew claimed that (based on the home ownership criterion) 80% of Singaporeans could now be considered to be members of the middle-class. Under Lee Singapore had both low inflation and unemployment. However, much unlike the economic policies of Greece and the rest of Europe, Singapore followed a policy of individualising the social safety net. This led to a higher than average savings rate and a very sustainable economy in the long run. Without a burdensome welfare state or its likeliness, Singapore has developed a very self-reliant and skilled workforce well versed for a global economy. 1990's: posed a great question for Singapore, as to how they would reinvent their economy. The 1990's emergence of efficient manufacturing firms in southeast Asia challenge the nation with such a small labor force and land restrictions. Friedrich noted how " it would be "unlikely to expand beyond the current 25% share of the economy," when regarding manufacturing firms. Despite struggling in the manufacturing sector Singapore thrived in global finance, trading, and was a industrial hub for international trade. Singapore's economic strategy produced real growth averaging 8.0% from 1960 to 1999. Since the nations independence in 1965 Singapore GDP has amassed an average of a 9.5% increase. The economy picked up in 1999 Under Goh Chok Tong, the Prime Minister of Singapore, after the regional financial crisis, with a growth rate of 5.4%, followed by 9.9% for 2000. However, the economic slowdown in the United States, Japan and the European Union, as well as the worldwide electronics slump, had reduced the estimated economic growth in 2001 to a negative 2.0%. The economy expanded by 2.2% the following year, and by 1.1% in 2003 when Singapore was affected by the SARS outbreak. Subsequently, a major turnaround occurred in 2004 allowed it to make a significant recovery of 8.3% growth in Singapore, although the actual growth fell short of the target growth for the year more than half with only 2.5%. In 2005, economic growth was 6.4%; and in 2006, 7.9%. The Nation has made a remarkable recovery from the 2008 global financial crises. In 2010, the nation saw a 15.2% growth rate. As of 8 June 2013, Singapore's unemployment rate is around 1.9% and the country's economy has a lowered growth rate, with a rate of 1.8% on a quarter-by-quarter basis—compared to 14.8% in 2010. 2015 and 2016 saw a downturn for the nation as GDP growth shrunk to just 2 percent. Despite growth diminishing, the nation has yet to post negative growth rates which are a positive sign. During the same period of diminishing economic growth. Unemployment and inflation have also decreased. The public sector is used both as an investor and as a catalyst for economic development and innovation. The government of Singapore has two sovereign wealth funds, Temasek Holdings and GIC Private Limited, which are used to manage the country's reserves. Initially the state's role was oriented more toward managing industries for economic development, but in recent decades the objectives of Singapore's sovereign wealth funds have shifted to a commercial basis. Government-linked corporations play a substantial role in Singapore's domestic economy. As of November 2011, the top six Singapore-listed GLCs accounted for about 17 percent of total capitalization of the Singapore Exchange (SGX). These fully and partially state-owned enterprises operate on a commercial basis and are granted no competitive advantage over privately owned enterprises. State ownership is prominent in strategic sectors of the economy, including telecommunications, media, public transportation, defence, port, airport operations as well as banking, shipping, airline, infrastructure and real estate. As of 2014, Temasek holds S$69 billion of assets in Singapore, accounting for 7% of the total capitalization of Singapore-listed companies. To maintain its competitive position despite rising wages, the government seeks to promote higher value-added activities in the manufacturing and services sectors. It also has opened, or is in the process of opening, the financial services, telecommunications, and power generation and retailing sectors up to foreign service providers and greater competition. The government has also attempted some measures including wage restraint measures and release of unused buildings in an effort to control rising commercial rents with the view to lowering the cost of doing business in Singapore when central business district office rents tripled in 2006. Singapore is considered a global financial hub, with Singapore banks offering world-class corporate bank account facilities. In the 2017 Global Financial Centres Index, Singapore was ranked as having the third most competitive financial centre in the world after London and New York City (and alongside cities such as Hong Kong, Tokyo, San Francisco, Chicago, Sydney, Boston, and Toronto). These include multiple currencies, internet banking, telephone banking, checking accounts, savings accounts, debit and credit cards, fixed term deposits and wealth management services. 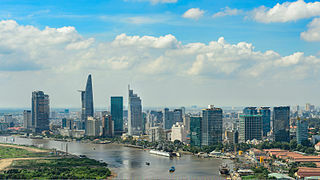 According to the Human Rights Watch, due to its role as a financial hub for the region, Singapore has continually been criticised for reportedly hosting bank accounts containing ill-gotten gains of corrupt leaders and their associates, including billions of dollars of Burma's state gas revenues hidden from national accounts. Singapore has attracted assets formerly held in Swiss banks for several reasons, including new taxes imposed on Swiss accounts and a weakening of Swiss bank secrecy. Credit Suisse, the second largest Swiss bank, moved its head of international private banking to Singapore in 2005. Tax evasion is illegal in Singapore; however, according to an Organisation for Economic Co-operation and Development official, Singaporean authorities tend to cooperate with other countries' tax authorities only when evasion of Singaporean taxes is involved. Singapore is aggressively promoting and developing its biotechnology industry. Hundred of millions of dollars were invested into the sector to build up infrastructure, fund research and development and to recruit top international scientists to Singapore. Leading drug makers, such as GlaxoSmithKline (GSK), Pfizer and Merck & Co., have set up plants in Singapore. On 8 June 2006, GSK announced that it is investing another S$300 million to build another plant to produce paediatric vaccines, its first such facility in Asia. Pharmaceuticals now account for more than 8% of the country's manufacturing production. Singapore is the pricing centre and leading oil trading hub in Asia. The oil industry makes up 5 per cent of Singapore's GDP, with Singapore being one of the top three export refining centres in the world. In 2007 it exported 68.1 million tonnes of oil. The oil industry has led to the promotion of the chemical industry as well as oil and gas equipment manufacturing. Singapore has 70 per cent of the world market for both jack-up rigs and for the conversion of Floating Production Storage Offloading units. It has 20 per cent of the world market for ship repair, and in 2008 the marine and offshore industry employed almost 70,000 workers. The Singapore government also owns 90% of the country's land, as well as housing in which 80% of the population lives. Singapore's total trade in 2014 amounted to S$982 billion. Despite its small size, Singapore is currently the fifteenth-largest trading partner of the United States. In 2014, Singapore's imports totalled $464 billion, and exports totalled $519 billion. Malaysia was Singapore's main import source, as well as its largest export market, absorbing 18% of Singapore's exports, with the United States close behind. 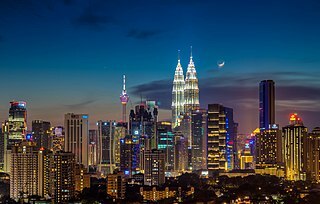 Malaysia is Singapore's biggest trading partner, with bilateral trade totalling roughly 91 billion US dollars in 2012, accounting for over a fifth of total trade within ASEAN. Singapore’s trade with major trading partners such as Malaysia, China, Indonesia and South Korea increased in 2012, while trade with EU27, United States, Hong Kong and Japan decreased in 2012. Since 2009, the value of exports exceeds imports for Singapore’s trade with China. In comparison, the value of imports exceeds exports for Singapore’s trade with the US since 2006. Re-exports accounted for 43% of Singapore's total sales to other countries in 2000. Singapore's principal exports are petroleum products, food/beverages, chemicals, textile/garments, electronic components, telecommunication apparatus, and transport equipment. Singapore's main imports are aircraft, crude oil and petroleum products, electronic components, radio and television receivers/parts, motor vehicles, chemicals, food/beverages, iron/steel, and textile yarns/fabrics. Trade in Singapore has benefited from the extensive network of trade agreements Singapore has passed. According to Healy Consultants, Singapore has free trade access to the entirety of the ASEAN network, with import duty reduced when dealing with Indonesia, Malaysia, the Philippines, Thailand, Brunei, Burma, Cambodia, Laos and Vietnam. The Singapore Economic Development Board (EDB) continues to attract investment funds on a large-scale for the country despite the city's relatively high-cost operating environment. The US leads in foreign investment, accounting for 40% of new commitments to the manufacturing sector in 2000. As of 1999, cumulative investment for manufacturing and services by American companies in Singapore reached approximately $20 billion (total assets). The bulk of US investment is in electronics manufacturing, oil refining and storage, and the chemical industry. More than 1,500 US firms operate in Singapore. Singapore's largely corruption-free government, skilled workforce, and advanced and efficient infrastructure have attracted investments from more than 3,000 multinational corporations (MNCs) from the United States, Japan, and Europe. Foreign firms are found in almost all sectors of the economy. MNCs account for more than two-thirds of manufacturing output and direct export sales, although certain services sectors remain dominated by government-linked corporations. The government also has encouraged firms to invest outside Singapore, with the country's total direct investments abroad reaching $39 billion by the end of 1998. The People's Republic of China was the top destination, accounting for 14% of total overseas investments, followed by Malaysia (10%), Hong Kong (9%), Indonesia (8%) and US (4%). The rapidly growing economy of India, especially the high technology sector, is becoming an expanding source of foreign investment for Singapore. The United States provides no bilateral aid to Singapore, but the US appears keen to improve bilateral trade and signed the US-Singapore Free Trade Agreement. Singapore corporate tax is 17 per cent. All figures in billions of Singapore dollars. In 2000, Singapore had a workforce of about 2.2 million. With limited access to natural resources, Singapore had been forced to invest in its people. The country has the largest proficiency of English language speakers in Asia, making it an attractive place for multinational corporations. Singapore has come along way from where it once stood. In the 1970's according to Tilak Abeysinghe "2.4 percent of the labor force were degree holders" By 1990 the number rose to just 6.3%. In 2013 the number of labor force who hold degrees has amassed to 31%. The nations directive toward high skilled labor jobs, has promoted both growth and education to the region. The National Trades Union Congress (NTUC), the sole trade union federation which has a symbiotic relationship with the ruling party, comprises almost 99% of total organised labour. Government policy and pro-activity rather than labour legislation controls general labour and trade union matters. The Employment Act offers little protection to white-collar workers due to an income threshold. The Industrial Arbitration Court handles labour-management disputes that cannot be resolved informally through the Ministry of Manpower. The Singapore Government has stressed the importance of co-operation between unions, management and government (tripartism), as well as the early resolution of disputes. There has been only one strike in the past 15 years. Singapore has enjoyed virtually full employment for long periods of time. Amid an economic slump, the unemployment rate rose to 4.0% by the end of 2001, from 2.4% early in the year. Unemployment has since declined and as of 2012 the unemployment rate stands at 1.9%. While the Singapore government has taken a stance against minimum wage and unemployment benefit schemes, in 2007 the government introduced a Workfare Income Supplement (WIS) scheme to supplement wages of low-skilled workers. In order to support employers in hiring older Singaporean workers, Special Employment Credit (SEC) was introduced in 2011. It was first enhanced in 2012 to provide employers with support in hiring older Singaporean workers and Persons with Disabilities (PWDs). It helped the employers to cope with costs associated with the increase in Central Provident Fund (CPF) contribution rates for older workers. The 5 year SEC scheme was further extended to additional 3 years, up to 2019 to encourage employers to voluntarily re-employ older workers aged 65 and above. The Singapore Government and the NTUC have tried a range of programs to increase lagging productivity and boost the labour force participation rates of women and older workers. However, labour shortages persist in the service sector and in many low-skilled positions in the construction and electronics industries. Foreign workers help make up this shortfall. In 2000, there were about 600,000 foreign workers in Singapore, constituting 27% of the total work force. As a result, wages are relatively suppressed or do not rise for all workers. To have some controls, the government imposes a foreign worker levy payable by employers for low end workers like domestic help and construction workers. In 2012, the Ministry of Trade and Industry (MTI) reported that Singapore should continue to fine-tune the calibration of its inflow of foreigners as the country continues to face an ageing population and a shrinking workforce. Singapore Parliament accepted the recommendations by its Economic Strategies Committee (ESC) for the optimal ratio of the level of immigration and foreign manpower for both high and low skilled workers. The Government recognises that the current overall foreign workforce should complement the local resident workforce and not replace the Singaporean Core concept, and helps companies greatly as they raise productivity through business restructuring and workforce retraining; raise resident labour force participation rate. Singapore is one of the world’s wealthiest countries per capita, but its Gini coefficient is high in comparison to developed countries. Statistics on income inequality are published by the Singapore Department of Statistics. In October 2018, Oxfam ranked Singapore 149 out of 157 in its Commitment to Reducing Inequality Index 2018, placing it among the bottom ten of the countries in the index, which ranks countries based on efforts to reduce economic inequality. In its report, Oxfam accused Singapore of practices which encouraged "harmful tax practices", not having a universal minimum wage (apart from janitors and security guards), and poor performance on labour rights. The government responded to the report by claiming that it was more important to look at "real outcomes" such as Singapore's high home ownership, health, education, and employment, rather than public spending or tax rates, also saying that the report "assumes that high taxation and high public expenditure reflects commitment to combating inequality". The government provides social support through a variety of social assistance schemes. The Ministry of Social and Family Development runs ComCare, a program which provides income support for low-income citizen households through various schemes for short-to-medium term assistance, long-term assistance, child support, and urgent financial needs. The Community Development Councils also run various local assistance schemes within their districts. The Ministry of Manpower runs a Silver Support Scheme which provides additional financial support for low-income elderly with no family support. Meanwhile, the Ministry of Health also runs MediFund to assist families that have difficulty paying for medical bills despite government subsidies and other health financing schemes. In addition, the National Council of Social Service coordinates a range of 450 non-government voluntary welfare organisations to provide social services, while raising funds through The Community Chest of Singapore. Government spending in Singapore has risen since the start of the global financial crisis, from around 15% of GDP in 2008 to 17% in 2012. The government's total expenditure as a percentage of GDP ranks among the lowest internationally and allows for a competitive tax regime. Singapore is required under its constitution to keep a balanced budget over each term of government. Singapore government debt is issued for investment purposes, not to fund expenditure. Personal income taxes in Singapore range from 0% to 22% for incomes above S$320,000. There are no capital gains or inheritance taxes in Singapore. Singapore's corporate tax rate is 17% with exemptions and incentives for smaller businesses. Singapore has a single-tier corporate income tax system, which means there is no double-taxation for shareholders. Singapore introduced Goods and Services Tax (GST) with an initial rate of 3% on 1 April 1994, increasing government's revenue by S$1.6 billion (US$1b, €800m) and establishing government finances. The taxable GST was increased to 4% in 2003, to 5% in 2004, and to 7% in 2007. The Singapore government owns two investment companies, GIC Private Limited and Temasek Holdings, which manage Singapore's reserves. Both operate as commercial investment holding companies independently of the Singapore government, but Prime Minister Lee Hsien Loong and his wife Ho Ching serve as chairman and CEO of these corporations respectively. While GIC invests abroad, Temasek holds 31% of its portfolio in Singapore, holding majority stakes in several of the nation's largest companies, such as Singapore Airlines, SingTel, ST Engineering and MediaCorp. As of 2014, Temasek holds S$69 billion of assets in Singapore, accounting for 7% of the total capitalisation of Singapore-listed companies. In April 2013, the country was recognised[by whom?] as an increasingly popular tax haven for the wealthy due to the low tax rate on personal income, a full tax exemption on income that is generated outside of Singapore and 69 double taxation treaties that can minimise both withholding tax and capital gains tax. Australian millionaire retailer Brett Blundy, with an estimated personal wealth worth AU$835 million, and multi-billionaire Facebook co-founder Eduardo Saverin are two examples of wealthy individuals who have settled in Singapore (Blundy in 2013 and Saverin in 2012). Additionally, Australian mining magnate Gina Rinehart owns property in Singapore and American investor Jim Rogers moved to Singapore in 2007—Rogers has identified the 21st century as an era in which Asia will dominate and wishes for his two daughters to learn Mandarin as a key outcome of the relocation. Chinese Media TV celebrities Jet Li and Gong Li have also taken up naturalised Singapore citizenship. The Monetary Authority of Singapore is Singapore's central bank and financial regulatory authority. It administers the various statutes pertaining to money, banking, insurance, securities and the financial sector in general, as well as currency issuance. The MAS has been given powers to act as a banker to and financial agent of the Government. It has also been entrusted to promote monetary stability, and credit and exchange policies conducive to the growth of the economy. Unlike many other central banks such as Federal Reserve System or Bank of England, MAS does not regulate the monetary system via interest rates to influence the liquidity in the system. Instead, it chooses to do it via the foreign exchange mechanism. It does so by intervening in the SGD market. 16,156 mergers and acquisitions deals have been conducted in Singapore so far, which accumulated to a total value of 850. bil. USD. Since 1985 there has been a constant upward trend, disrupted only in 2002 and 2009. The most active year in terms of numbers (926) and value (78. bil. USD) has been 2017, so there is currently an all time high. In general inbound and outbound deals in Singapore are nearly equally distributed. ^ a b c d "Singapore". International Monetary Fund. April 2018. ^ hermesauto (14 February 2018). "Singapore economy expanded 3.6% in 2017; slower growth expected this year". ^ "Statistics Singapore - Latest Data". 7 December 2017. Archived from the original on 29 November 2015. Retrieved 23 February 2018. ^ a b c d e f g h i j "The World Factbook". CIA.gov. Central Intelligence Agency. Retrieved 6 April 2019. ^ "Singapore Employment Labour as at June 2015". Department Of Statistics Singapore. 2015. Archived from the original on 29 November 2015. Retrieved 16 September 2015. ^ "Ease of Doing Business in Singapore". Doingbusiness.org. Retrieved 2017-11-24. ^ a b c d "Singapore - WTO Statistics Database". World Trade Organization. Retrieved 1 March 2017. ^ "Net international investment position as at Q1 2015". Department Of Statistics Singapore. 2015. Archived from the original on 1 May 2016. Retrieved 16 September 2015. ^ a b "Operating Revenue and Total Expenditure as at 2017 estimate" (PDF). Singapore Budget 2017. 20 February 2017. Retrieved 23 February 2017. ^ Central Intelligence Agency (6 August 2012). "The World Factbook". cia.gov. Retrieved 13 August 2012. ^ Ministry of Trade and Industry Singapore. "Free Market System". mti.gov.sg. Archived from the original on 7 October 2015. Retrieved 11 December 2018. ^ World Economic Forum. "Global Enabling Trade Report" (PDF). Archived from the original (PDF) on 29 July 2012. ^ "Corruption Perceptions Index 2014". Transparency International. Transparency International. 2014. Retrieved 1 January 2015. ^ "World Bank Doing Business Report 2012". World Bank. ^ "Country Rankings". 2013 Index of Economic Freedom. The Heritage Foundation. 2013. Retrieved 18 April 2013. ^ Aun Long, Jek; Danny Tan (June 2010). "The growth of the private wealth management industry in Singapore and Hong Kong" (PDF). Capital Markets Law Journal. 6 (1): 104–126. doi:10.1093/cmlj/kmq022. Retrieved 18 April 2013. ^ Neil Chatterjee; John O'Donnell (14 November 2008). "Wealth management prospers in Singapore". The New York Times. Retrieved 18 April 2013. ^ "Wealth Management". UBS. 3 April 2013. Retrieved 18 April 2013. ^ Jorn Madslien (6 May 2008). "Singapore water makes global waves". BBC News. Retrieved 18 April 2013. ^ Shim Kim Fah (1990). "Part IV Country Papers (Contd.)". FAO Corporate Document Repository. Agriculture and Consumer Protection. Retrieved 18 April 2013. ^ "Agrotechnology Parks". Agri-Food & Veterinary Authority of Singapore. Government of Singapore. 14 November 2012. Archived from the original on 22 January 2013. Retrieved 18 April 2013. ^ Brenda S.A. Yeoh; Weiqiang Lin (April 2012). "Rapid Growth in Singapore's Immigrant Population Brings Policy Challenges". Migration Policy Institute. Migration Policy Institute. Retrieved 18 April 2013. ^ "WTO Trade Policy Review: Singapore". WTO. ^ "Trade (% of GDP)". World Bank. ^ "Singapore Ranked Best for Business". InvestAsian. InvestAsian. 2015. Archived from the original on 23 June 2015. Retrieved 27 May 2015. ^ "Foreign workforce numbers". Ministry of Manpower Singapore. ^ "Real Gross Domestic Product (S$), Gross National Income (S$), GNI Per Capita (S$)" (PDF). Department Of Statistics Singapore. Archived from the original (PDF) on 10 September 2015. Retrieved 18 September 2015. ^ "Gross Domestic Product (US$)". World Bank. Retrieved 20 September 2015. ^ "Gross Domestic Product (S$)". Department of Statistics, Singapore. Archived from the original on 13 November 2015. Retrieved 20 September 2015. ^ "GDP Per Capita (S$ & US$)". Department of Statistics, Singapore. Archived from the original on 7 August 2015. Retrieved 20 September 2015. ^ "Gross National Income (US$)". World Bank. Retrieved 20 September 2015. ^ "Gross National Income (S$)". Department of Statistics, Singapore. Archived from the original on 13 November 2015. Retrieved 20 September 2015. ^ "Gross National Income Per Capita (S$ & US$)". Department of Statistics, Singapore. Archived from the original on 13 November 2015. Retrieved 20 September 2015. ^ "Foreign Reserves". Monetary Authority Of Singapore. Retrieved 20 September 2015. ^ "Exchange Rates". Department of Statistics, Singapore. Archived from the original on 27 September 2015. Retrieved 20 September 2015. ^ a b Lim, Linda Y. C. (August 2015). "Fifty Years of Development in the Singapore Economy: An Introductory Review". The Singapore Economic Review. 60 (03): 1502002. doi:10.1142/S0217590815020026. ISSN 0217-5908. ^ "Singapore profile". 2018-05-10. Retrieved 2019-03-17. ^ "Opening of the Suez Canal - Singapore History". eresources.nlb.gov.sg. Retrieved 2019-03-17. ^ Hays, Jeffrey. "ECONOMIC HISTORY OF SINGAPORE | Facts and Details". factsanddetails.com. Retrieved 2019-03-18. ^ "Brief History of Singapore, Singapore Growth & Economy • About Singapore". www.singaporeexpats.com. Retrieved 2019-03-10. ^ "Columbia Center on Sustainable Investment" (PDF). Retrieved 4 March 2015. ^ Sugimoto, Ichiro (2011). Economic Growth of Singapore in the Twentieth Century. p. 299. ISBN 9814317918. ^ "The familiar pattern of Chinese consumption growth". Archived from the original on 3 December 2013. Retrieved 4 March 2015. ^ "Wage share of GDP has risen over the decades: Minister for Trade and Industry". Retrieved 4 March 2015. ^ Bercuson, Kenneth (1995). Singapore: a Case Study in Rapid Development. p. 5. ISBN 1557754632. ^ Wu, Friedrich (October 1991). "The ASEAN Economies in the 1990s and Singapore's Regional Role". California Management Review. 34 (1): 103–114. doi:10.2307/41166686. ISSN 0008-1256. ^ "How Singapore Became One Of The Richest Places On Earth". NPR.org. Retrieved 2019-03-10. ^ a b c Chen, Xiaoping; Shao, Yuchen (2017-09-11). "Trade policies for a small open economy: The case of Singapore". The World Economy. doi:10.1111/twec.12555. ISSN 0378-5920. ^ "What comprises the reserves and who manages them?". Singapore Ministry of Finance. Archived from the original on 14 July 2014. Retrieved 22 April 2014. 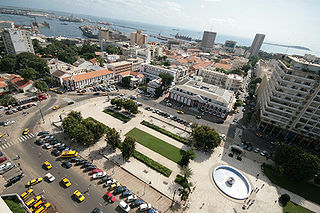 ^ a b Bureau of Economic and Business Affairs (June 2012). "2012 Investment Climate Statement – Singapore". United States Department of State. Retrieved 10 March 2014. ^ a b c "Portfolio Highlights". Temasek Holdings. Archived from the original on 9 May 2015. ^ a b Statistical Report, March 2014 (Report). Singapore Exchange. ^ a b "Singapore Company Registration and Formation". Healy Consultants. Retrieved 19 August 2013. ^ "World Report" (PDF). Human Rights Watch. 2011. Archived from the original (PDF) on 13 October 2012. Retrieved 18 April 2013. ^ "GlaxoSmithKline Vaccine Manufacturing Facility, Tuas, Singapore". pharmaceutical-technology.com. SPG Media Limited. 2012. Retrieved 18 April 2013. ^ "Economic Survey of Singapore 2012" (PDF). ^ "Facts and Figures". Singapore Government. 11 November 2010. Retrieved 13 July 2011. ^ "Facts and Figures". Singapore Government. 13 October 2009. Archived from the original on 18 April 2012. Retrieved 13 July 2011. ^ "How Capitalist Is Singapore Really?". ^ "Top Trading Partners – Total Trade, Exports, Imports". United States Census Bureau. United States Census Bureau. 12 July 2011. Retrieved 18 April 2013. ^ "Corporate Taxation in Singapore". ASEAN Business News. 2018-08-15. Retrieved 2019-02-24. ^ Leong, John. "Singapore, Australia conclude discussions on Comprehensive Strategic Partnership". Channel NewsAsia. Retrieved 31 October 2016. ^ "Workfare". Ministry of Manpower. Government of Singapore. 18 March 2013. Archived from the original on 1 April 2013. Retrieved 18 April 2013. ^ "Special Employment Credit (SEC) Guide". singaporeaccounting.com. Retrieved 31 August 2016. ^ "Aesperon – 2015 Changes To Foreign Worker Levies". Aesperon – BCA CoreTrade & Levy Benefits. Archived from the original on 11 August 2015. Retrieved 1 May 2015. ^ "Singapore Economic Development Board – Investing Business in Singapore". Singapore Economic Development Board – Investing Business in Singapore. Retrieved 4 March 2015. ^ "Home". Retrieved 4 March 2015. ^ "WDA". Retrieved 4 March 2015. ^ "Household Income - Latest Data". singstat.gov.sg. Singapore Department of Statistics. Retrieved 15 October 2018. ^ a b "Singapore in bottom 10 of Oxfam index on efforts to tackle inequality". Channel NewsAsia. 9 October 2018. Retrieved 15 October 2018. ^ "ComCare". msf.gov.sg. Ministry of Social and Family Development. Retrieved 15 October 2018. ^ "Getting help". cdc.org.sg. People's Association. Retrieved 15 October 2018. ^ "Silver Support Scheme". mom.gov.sg. Ministry of Manpower. Retrieved 15 October 2018. ^ "MediFund". moh.gov.sg. Ministry of Health. Retrieved 15 October 2018. ^ "Our Organisation". ncss.gov.sg. National Council of Social Service. Retrieved 15 October 2018. ^ "Singapore". 2013 Index of Economic Freedom. The Heritage Foundation. 2013. Retrieved 18 April 2013. ^ "Singapore Economy 2012 – A Brief Introduction – GuideMeSingapore.com". guidemesingapore.com. Retrieved 15 September 2015. ^ "Income Tax Rates". Inland Revenue Authority of Singapore. Retrieved 25 June 2018. ^ "Individuals (For locals)". Inland Revenue Authority of Singapore. Inland Revenue Authority of Singapore. 10 April 2013. Retrieved 18 April 2013. ^ "Singapore Personal Income Tax Guide". Guide Me Singapore. Janus Corporate Solutions Pte Ltd. 2008–2013. Retrieved 18 April 2013. ^ "Singapore Corporate Tax Guide". Guide Me Singapore. Janus Corporate Solutions Pte Ltd. 2008–2013. Retrieved 18 April 2013. ^ "FY 1996 Budget, Revenue And Tax Changes". Ministry of Finance. Retrieved 1 May 2006. ^ "GST rate to rise to 7% from 1 July". Channel NewsAsia. Singapore. 15 February 2007. Archived from the original on 26 May 2012. Retrieved 22 April 2010. ^ "What is the relationship between GIC and the Government?". Government of Singapore Investment Corporation. Archived from the original on 20 October 2012. ^ "Is Temasek a statutory board or a government agency?". Temasek Holdings. ^ "Govt's role relating to Temasek Holdings, GIC clarified". Channel NewsAsia. Retrieved 4 March 2015. ^ Andrew Heathcote (15 April 2013). "Tax havens: Brett Blundy latest to join the Singapore set". Business Review Weekly. Digital Media. Archived from the original on 14 April 2013. Retrieved 18 April 2013. ^ Lauren Lyster (5 February 2013). "Jim Rogers: 4200% Investing Returns Are Still Possible". Yahoo! Finance. Yahoo!, Inc. Retrieved 22 April 2013. ^ Vincent Fernando, CFA (20 August 2010). "Jim Rogers: If You Want Your Family To Be Silly Rich In The Future, Then Leave America And Move To Asia Now". Business Insider. Business Insider, Inc. Retrieved 22 April 2013. ^ "Singapore's Exchange Rate-Based Monetary Policy". Monetary Authority of Singapore. Monetary Authority of Singapore. 2013. Retrieved 18 April 2013. ^ "M&A Statistics - Worldwide, Regions, Industries & Countries". Institute for Mergers, Acquisitions and Alliances (IMAA). Retrieved 2018-02-23. ^ "The World Factbook — Central Intelligence Agency". www.cia.gov. Retrieved 2017-03-07. ^ "Exchange Rate (S$/US$)". Department Of Statistics Singapore. 2015. Archived from the original on 27 September 2015. Retrieved 15 September 2015. Wikimedia Commons has media related to Economy of Singapore.